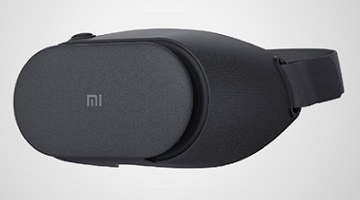 Chinese technology giant Xiaomi announced its brand new VR headset. It is dubbed as “Mi VR Play 2” and costs CNY 99 ($14 USD) and is a successor to the original Mi VR Play headset which was released in 2016. Mi VR Play 2 is an entry-level headset that is attached to a smartphone to deliver VR apps, games, movies, and TV shows. The new headset comes with improved, cloth-like material that sits comfortably on your face. Xiaomi’s headset will be available for purchase starting on April 19 in China. There is no announcement yet if it will be available in other countries.